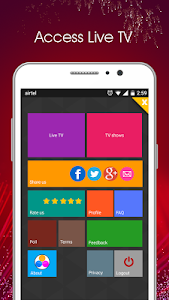 * Download the free App to instantly watch Live TV and recorded shows of all Malayalam channels. 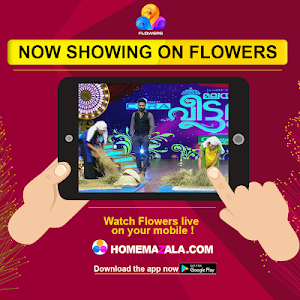 As the application is in trial phase, we are providing only limited tv channels like flowers , media one, powervision, shalom , mathrubhumi , safari tv and reporter tv. 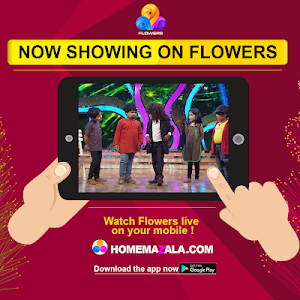 Other channels will come on board soon.Recorded contents of flowers tv are also available in the TV shows.The full length episode of Uppum Mulakum , the daily comedy serial of Flowers TV will be updated to this application. 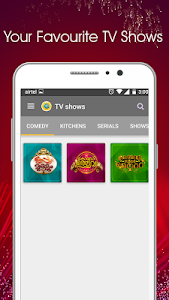 Comedy Supernite and Comedy Utsavam , the other two popular shows are also uploaded to home mazala every day. 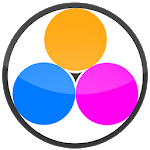 The contents are uploaded based on genere, which will help the users to search and enjoy the contents of your taste. 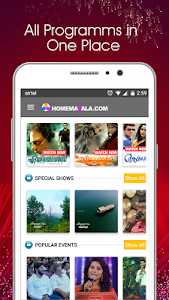 The application lets you watch contents in multiple devices using the same account, using a minimal Internet connection( WiFi and 3G / 4G /2G).Home Mazala supports Android version 4.1 and above only.